Of the forty-three (and counting) presidents whose biographies I’m reading on this journey, none have caused me quite as much apprehension as Benjamin Harrison. I expected to meet an extremely decent man with all the personality of a napkin holder whose presidency was unremarkable…but tedious to re-live. Oddly enough, that’s almost exactly what I got. I might well have described Rutherford B. Hayes similarly (and approached him with equal anxiety) but where Hayes provided me with just two books and 700 pages, Ben Harrison came to the party with five biographies totaling almost 1,400 pages. Fortunately, although Harrison’s presidency was no more interesting than I feared, his biographies provided a better reading experience than I had expected. And while nothing leads to a pleasant surprise like setting expectations low from the beginning, Harrison is fortunate to have attracted a small but worthy band of biographers. * My first biography of Harrison was “Benjamin Harrison” by Charles Calhoun. As a member of the American Presidents Series, this comprehensive but brief biography of Harrison seemed a great place to start. And I was right; this biography is not flashy but does provide a fairly painless and occasionally interesting introduction to a president few people really know. * Next I read Harry J. Sievers’s three-volume biography of Harrison, published between 1952 and 1968. This monumental effort represented the first major biography of Harrison and remains the most complete, penetrating look at this president. The second volume was “Benjamin Harrison: Hoosier Statesman.” This volume covers the next two decades of Harrison’s life, ending with his election. This period includes much of his legal career, his unsuccessful gubernatorial campaign and his term as U.S. Senator. This volume provides a nice equilibrium between his personal and public lives and maintains a high level of objectivity with respect to his politics. (Full review here). * I finished Benjamin Harrison’s biographies with “The Presidency of Benjamin Harrison” by Homer Socolofsky and Allan Spetter. Published in 1987, this member of the American Presidency Series (from the University Press of Kansas) is almost exclusively focused on Harrison’s presidency, but the authors do provide an excellent (if brief) review of Harrison’s early life. Just noted the sidebar tweet about Teddy Roosevelt being the first to ride in a car. My understanding is that it was actually William McKinley who first rode in a car when he was rushed to a hospital in Buffalo after he was shot. I wouldn’t normally expect to have a hard time choosing between two such different biographical approaches (American Presidents Series being comprehensive but brief…but often well done and the American Presidency Series which usually just focused on White House tenure). But in this case the Calhoun bio was at least fair (and certainly comprehensive) and the Socolofsky/Spetter volume didn’t fail to look to B Harrison’s pre-presidency to create context. Steve, thanks so much for your thoughts. It’s a tough call. I may breaknow down and do the 3 volumes. I understand they only total around 1000 pages. Washington was around 700 and the Madison bio was a tough read, due to the dense writing. Having read a full length bio of his grandfather, Benjamin probably deserves a complete review. Cliff, thanks for your comment – feedback like this is what keeps me going! And since I see you are up to Harrison it seems you have survived the difficult middle “chunk” of presidents and are almost up to some really interesting ones. Teddy Roosevelt, in particular, really fascinated me and it seems you’re going to be reading him in the very near future?!? Having read at least one of your selections for every president through Harrison at present, I am reminded of two observations. “History is a subject you start in the middle: Will Durant “There is no history, only biography” Ralph Waldo Emerson. I would add, “and all biography is interpretation”. I’ve been reading one biography per president. I’m up to Kennedy. I agree with this observation, but have one additional comment.. By reading in sequence the overlap gives you additional perspectives in many cases. This allows you to synthesize your own views and come to your own interpretations in lots of cases. It’s been a fascinating and delightful journey and I want to thank Steve for acting as my tour guide. I’m glad you added that point and I have thought the same thing. Just recently, for one example, a biographer of Cleveland wrote that Hayes did not run for re-election because he could not likely muster enough votes. Yet, in reading Hayes, that writer made it very clear that he couldn’t wait to vacate the oval office after one term, with no consideration for a second one in the slightest. You not only get overlapping interpretations, which are very beneficial to an in-depth understanding of issues, personalities and the times, but you sometimes get different “facts”. 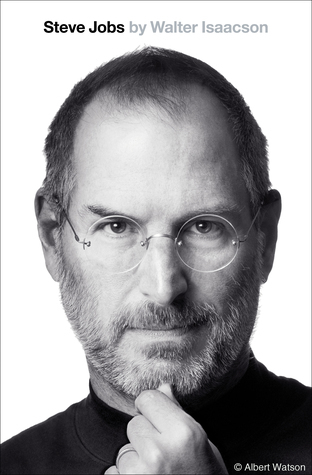 All in all, it’s great, the sloppy stew of humanity, and I too feel very grateful to Steve for the entire business.